From 1970 to 1990 Texaco (now Chevron) drilled for oil in the region known as the “ Oriente” in the Ecuadorian Amazon. 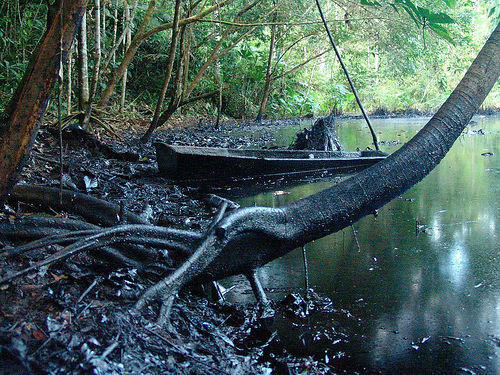 By the company’s own estimates Texaco dumped 18 billion gallons of toxic watewater from their oil exploration into the Amazon environment. The region’s 30.000 inhabitants have been drinking, bathing and fishing in this contaminated water for over 40 years. The Ecuadorian health authorities found the oil pollution is causing high incidences of cancer.